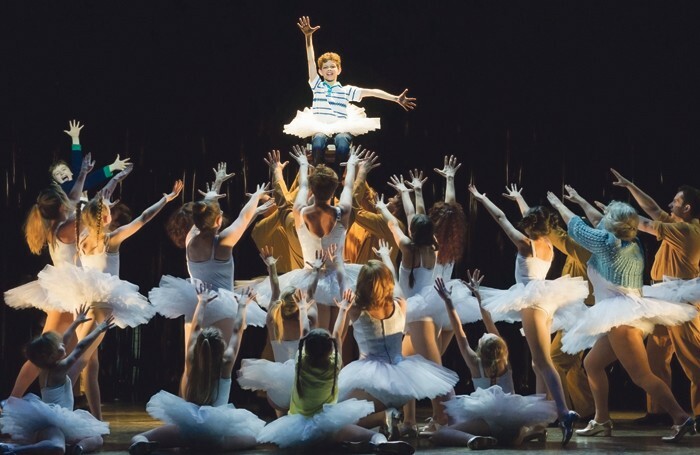 A few weeks ago, the Hungarian State Opera was staging its own production of Billy Elliot. This was its third season of putting on the feel-good musical, and the production – with its heartfelt message of accepting people as they are – was a success bringing in new audiences and delighting families. All was going well until Hungarian journalist Zsofia N Horvath, for the pro-government newspaper Magyar Idok, wrote an article denouncing the production. “How can such an important national institution as the opera go against the objectives of the state and use a performance made for people around 10, at their most fragile age, for such pointed and unrestrained gay propaganda?”, the article asked. The message would not have looked out of place on fascist propaganda pamphlets from the 1930s. That they were written last month is shocking. Hungarian State Opera’s director Szilveszter Okovacs defended his decision to put on the show, but Horvath’s comments prompted outcry from the public and sent the box office into decline. The Hungarian State Opera chose to close its production early, cancelling the remaining 15 performances. According to the BBC, the mystery deepened as there is no known journalist called Zsofia N Horvath in Hungary and the newspaper itself is seen as a mouthpiece of prime minister Viktor Orban’s nationalist Fidesz Party. Fidesz’s landslide election victory in April has given Orban and his government considerable power, which has been particularly felt across a number of Hungary’s cultural institutions, media outlets and by several of its individuals who have been targeted with a clear message to conform. Orban is a keen Trump supporter and has led on a policy of outlawing homosexuality to promote traditional family values, which he believes are the glue to a successful Europe. His popularity and tough stance have made such policies gain traction, with support in pro-government articles by his media allies. Billy Elliot’s closure in Hungary will be seen as a victory for the right and a strong endorsement of Orban’s policies. The fact it’s a popular Western musical composed by Elton John, a high-profile openly gay artist, is equally significant. Orban’s party has rebelled against Western values and the shows abrupt closure gives the clearest warning to any disparate voices of Orban’s and his party’s power. Billy Elliot had already been seen by 100,000 people in Hungary before its closure, but its legacy is now one of being an offensive work. Many Hungarians who did not see it but have read about it since closure will likely make a damning judgement. Meanwhile, Orban and his party supporters have also used the incident to portray him as being the nation’s great protector of its family values who will not let their young people be ‘corrupted’. What’s surprised me most is the under-reporting of this incident outside Hungary. Several global news agencies ran short news stories about it. But the fact it has not gained more headlines and subsequent column inches is disappointing. This should not be ignored. These 15 cancelled performances may seem like nothing in the great scheme of global news, but what it represents – and the resulting message conveyed to the Hungarian public – is enormous. Only 16 years ago, Hungary was producing a hit production of Kander and Ebb’s celebrated musical Kiss of the Spiderwoman with its strong gay themes and message of acceptance. Today, it’s taken serious steps backwards. It was Mussolini who said: “If you pluck a chicken one feather at a time, people don’t notice.” It is a stark warning of how, throughout history, hatred and prejudice can begin in the smallest ways, but if left unchallenged or ignored, it can easily fester and escalate into something devastating. Theatre’s position in all this – as a catalyst for change and to build awareness as well as shaming those who want to discriminate and bully others – has never been more important. However, this recent incident in Hungary demonstrates it can itself become a target. Change, acceptance and understanding must start with education, conversation and listening. Throughout history the popularity of the musical art form has been a vehicle that promotes social change to the widest audience demographics. Tonight, 500 cinemas across the UK will show a screening of the British musical Everybody’s Talking About Jamie live from the West End with its message of being yourself and celebrating difference. It is this generation’s Billy Elliot. The broadcast will be significant, being shown within some UK communities where prejudices towards some groups has risen in recent years. Hungary may seem many miles away from the UK but, in reality, the attitudes it has recently displayed are never far away from any country’s doorstep. Through theatre we can help to promote change and greater understanding. From far and wide, we must collaborate to provide a safe, welcoming working environment and platform for different voices to be heard. Most importantly, we need to stand together to collectively challenge ignorance at its most dangerous.